Police investigating ongoing INLA activity have arrested a 27 year old man today in the Londonderry area. 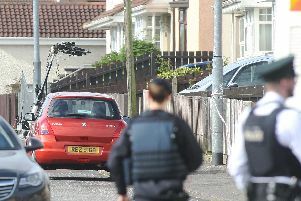 The arrest was made by Detectives from the PSNI Paramilitary Crime Task Force. Three men aged 30, 36 and 44 arrested yesterday, Tuesday, 6 March, remain in police custody.